Cyclists in the City: Neil Turner, killed cycling to Oval - start of the Tour du Danger. A tube driver, Mini fan, Millwall supporter, father and soon-to-be husband. An all-round Londoner killed, in my view, on a road designed in a way that makes deaths unavoidable. Neil Turner, killed cycling to Oval - start of the Tour du Danger. A tube driver, Mini fan, Millwall supporter, father and soon-to-be husband. An all-round Londoner killed, in my view, on a road designed in a way that makes deaths unavoidable. The Evening Standard has written an incredibly poignant piece about Neil Turner, killed cycling to work in Mitcham on a road where the cycle infrastructure is so scandalously awful, it's really no surprise that people have been seriously injured and now killed here. 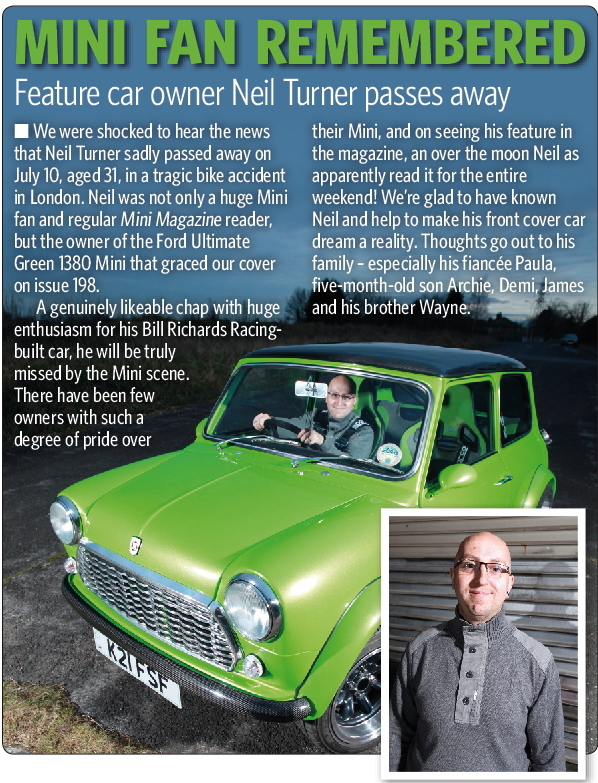 Ross Lydall's piece talks in heart-felt detail about Neil Turner - born and bred in London, a tube driver, fan of Minis, supporter of Millwall, a father and soon-to-be husband. In short, an all-round Londoner - RIP. Three things stand out to be about the killing of Neil Turner. Firstly, the road where he was killed. 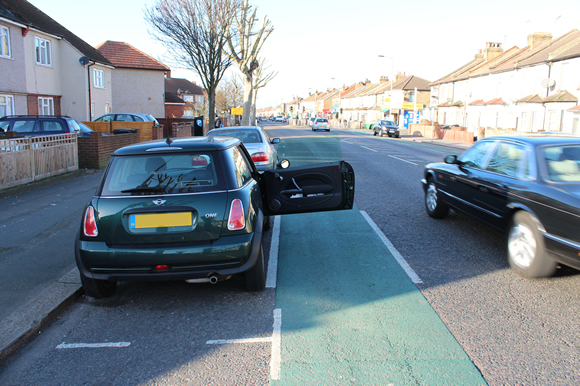 Transport for London knows this road is dangerous, as does Croydon Council. What's the council going to do about it? Well, not a lot. Boris has given the council a few hundred thousand pounds to spend on cycling over the next three years. So the council will build some bike parking. Fat lot of use that will be to help people actually make safe and easy journeys by bike. And literally 'chicken feed' from the Mayor for Croydon's bike infrastructure. It is precisely at Oval tube station that hundreds of us gathered last winter for the Tour du Danger - a ride around the most dangerous junctions in central London in order to give a clear message to the Mayor that we can't avoid intimidating and dangerous junctions like this and to say: We don't want to be casualties casualties of a systemic, killer culture of laissez-faire at Transport for London that completely ignores people on bikes. Oval junction is one of the most dangerous junctions for people to cycle through in London and we wanted to mark it as a place that needs to change, to make it safe for people to cycle through, not just drive through. Yet London still seems to be limping around, trying to work out whether or not to make cycling safer. The evidence around the London Olympics is that nothing is being done to make cycling part of the mix yet. I think the chief executive of Sustrans put it extremely well earlier this week when he talked about Google's new online bicycling maps. As he put it: "Google has given cycling equal status to driving and using public transport – we need our politicians and local councils to do the same." The facts are pretty simple. Serious injuries of pedestrians and cyclists in London rose dramatically last year. The number of people killed cycling also rose dramatically last year. By all accounts, it looks like the number of people being killed on bikes will be higher yet again this year. And the Mayor is still saying that everything's fine, you just need to 'keep your wits about you'. My bet is that Neil was keeping his wits about him. But he wouldn't have stood a chance on a road like this, designed to put him in the most vulnerable position possible. The wife of Brian Dorling, killed last year at Bow roundabout made this point: "Whoever designed the superhighway on that roundabout is completely negligent." It shouldn't be like this. We have world-class roads and motorways and we have skilled and hard-working road engineers behind them. But the money and the design is only for motor vehicles. People on bikes are expected to somehow fling themselves down roads like this and survive. It's not good enough. It's time we had world-class routes for people to use on bikes, instead of exposing them quite deliberately to fast-moving, intimidating roads where the likelihood of being injured is TEN-TIMES higher per mile cycled than it is in countries like the Netherlands.